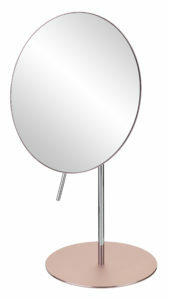 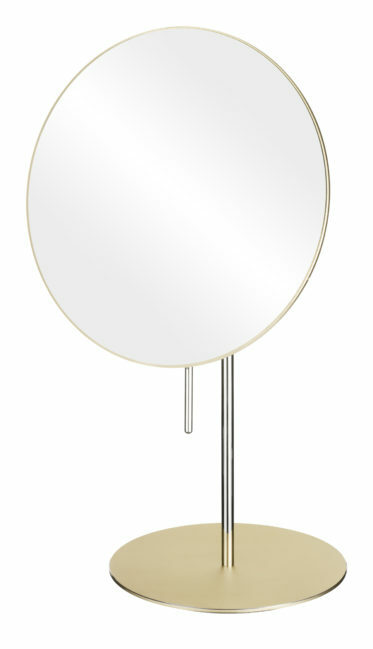 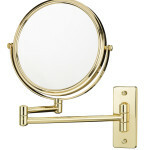 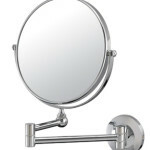 The Cava Round Free Standing mirror is the perfect combination of simplicity and whimsy. 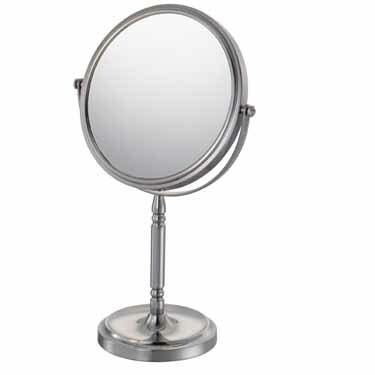 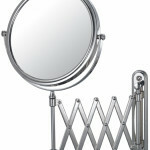 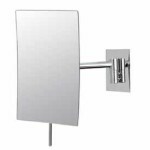 The 3X magnified mirror has a 7.88″ viewing area and is 13.5″ tall. 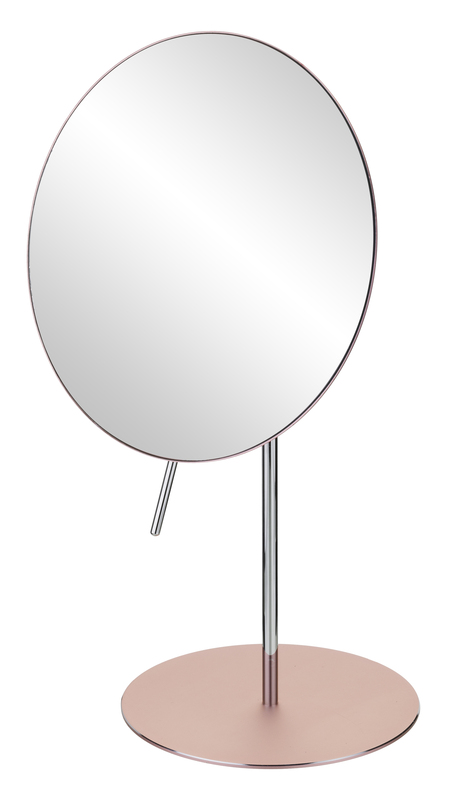 A small “joy stick” at the bottom of the lens allows you to tilt the mirror for the best viewing angle possible. Available in three finishes: Blush, Champagne, and Matte Black.